I was recently in a packing shed in central New South Wales, Korean backpackers were efficiently working. I asked why no Australian young people were in the mix. 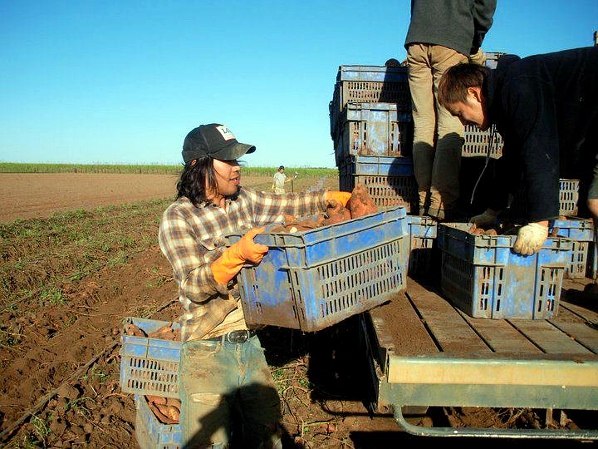 The owner snorted and stated he would not employ young Australians for several reasons from laziness to unreliability. Our Australian culture still suffers from the legacy of ‘Loss of Empire’. We, as a nation, must come to terms with the fact that there must be young Australians in our midst who will remain ‘hewers of wood and drawers of water: aspirations for degrees and diplomas for some will remain pipe dreams and our political elite must face reality. The above ideas will be dealt with in more detail later. Contribution on this issue would be welcome. A variation on crowd funding! A ‘boil’ barely mentioned but might be painfully ‘lanced’ is the international boundary between Britain and France, nominally in the middle of the English Channel. 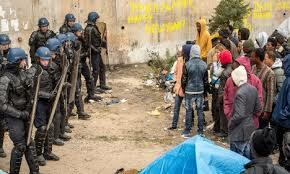 Currently, France assists Britain by placing the boundary on the seaward side of Calais – Britain pays millions of pounds a year for this service. 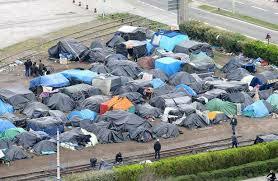 There are now rumbles from the French Government that this cosy arrangement may be reviewed. There is now a possibility that the refugee camps containing some 18,000 displaced persons could be transferred to ‘This blessed plot, this realm, this England (Richard II). In recent months, France has foiled 37,000 attempts by migrants to reach the shores of Kent. (helprefugees.com and BBC News) Martello Towers and the ghosts of The Few and Francis Drake will be unable to repel this new invasion. This might become an unimagined consequence of the ‘Leave’ faction.